Voting in my country can bring your death. The country is separated into orange and green colors for the two major parties. The others simply do not count. Good thing I do not care for orange or green clothing. And even if I did, you'd never catch me wearing them! When it's election time, there is always such fear and intimidation and death. A person will kill you simply for being on the other party votes. Wearing the wrong color in the wrong neighborhood can get you killed, accosted, beaten, threatened etc etc. People were paid to vote. Paid with money, or food, or threats. I realized from early on that I would not vote. Then I came to America. When I was awaiting my citizenship, one of the most precious things was getting the freedom / choice to vote. I will always vote here in America. I do not feel threatened to go to a place and cast my ballot. I thank God for this. Many people here seem to take the choice lightly. Please don't. 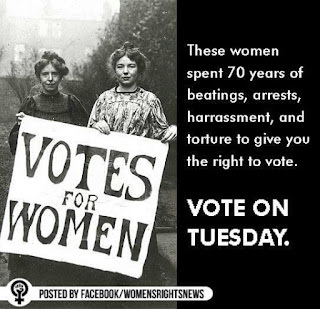 And if you check your history, especially for us women, many have fought through terrible things to get us this right to be able to vote. Tell your children about it. Show them why it's important. Don't vote for color, or rumors, or charm, or blame or facebook quotes or just feelings. Vote for your country, your family, your future. So moving - sounds like what I have been telling my children. Our right to vote is precious, our choices are precious, and you are precious! 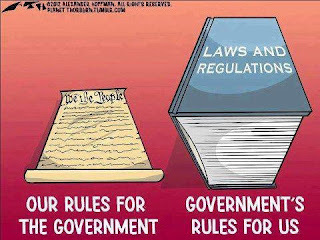 I imagine this is why there is so much crime in my country. Youths grow up with so much fear and then just wont really take part in their country and community because of all the violence and gangs. Politics is a disgusting thing and I do not think there should be campaigns, but just material and maybe meetings for discussion on new changes. I hate politics. Girl, you're so right. One such as yourself has a deeper appreciate for the entire process than those who were born here. 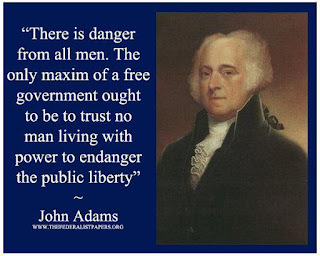 I see all too many who take this right lightly, but until someone is in put in a situation like you described from your childhood then will they totally understand how our country came to be this great nation of the home of the brave and land of the free. God bless America! I wish so many would understand how precious this is. Sometimes it happens Judy. It's the internet :) and life. Don't worry. This is a beautifully written post, Collete! Freedom is what brought me here to the US too.. I think most of us who comes into the country, understands better and maybe take the freedoms much more seriously that who are born here and doesn't have an idea of how different things can be. important. More and more people have to read this and understand this side oof the story. I was surprised tht you're not more popular sincxe you definitely possess the gift.